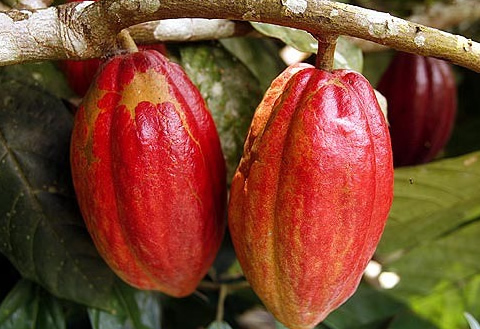 Solidaridad, an international non-governmental organisation, has launched two projects to boost cocoa and palm oil production. The implementation of the phase two of the Cocoa Rehabilitation and Intensification Programme (CORIP) and Sustainable West Africa Palm Oil Programmes (SWAPP) is expected to increase the efficiency and productivity both at primary production and processing levels. The 31-million Euro five-year programme, being implemented in Ghana, Cote D’ Ivoire, Liberia, and Sierra Leone, is funded by the Kingdom of Netherlands with 27 million Euros and the Swiss government through the State Secretariat for Economic Affairs is providing the remaining 4 million Euros. Among the objectives of the CORIP II and SWAPP II, which began in 2017 and will end in 2021, is to improve productivity in the cocoa and oil palm industries to increase the incomes and improve the livelihoods of farmers in the two sectors. It is also to introduce farmers in the two sectors to good management and agronomic practices as well as enhance their skills to improve their farm business. Speaking at the launch of the projects, Mr Kennedy Osei Nyarko, the Deputy Minister of Food and Agriculture, said dwindling soil fertility and growing population calls for good agronomic practices to improve productivity in the cocoa and oil palm sectors. He said agriculture remain the backbone of the economy and government would continue to create the enabling environment for the sector to thrive. Mr Nyarko said the Ghana Tree Crop Development Authority would soon be established to build a vibrant tree crop sector, saying stakeholders had validated the Draft Bill. He urged the youth to take advantage of the skills development component of the programme to build their skills to offer services to farmers in the cocoa and oil palm sectors. Mr Nyarko called on players in the finance industry to support the farmers by providing finance, mentoring and coaching in the cocoa and oil palm sectors. Mr Isaac Gyamfi, the Regional Director for Solidaridad West Africa, called for a strong service delivery for players in the cocoa and oil palms sectors in order to attract the youth to agriculture. He said there is the need for the country to invest in modern technologies to improve productivity of the sector. Dr Emmanuel Agyemang, the Deputy Chief Executive Officer of Cocobod in charge of Quality, said the project was in line with Cocobod’s programme to improve productivity in the cocoa sector from the current 500 kilogrammes per hectare to 1000 kilogrammes by 2021. He entreated stakeholders of the CORIP II and SWAPP II to ensure that the agronomic practices they taught the farmers were in line with the guidelines of Cocobod. Ron Strikker, the Netherlands Ambassador to Ghana, said the cocoa and palm oil sectors were critical to the Ghanaian economy and they provide opportunity for job creation and attraction of more foreign exchange. He said the Netherlands government, which is the largest importer of cocoa and palm oil, was supporting the two initiatives to build a vibrant cocoa and oil palm sectors. He said the Netherlands by 2025 would not import cocoa and oil palm which were not produced sustainably and whose source could also not be traced. Mr Mathias Feldmann, the Charge d’ Affaires of the Swiss Embassy for Ghana, Benin and Togo, said the projects would help address the constraints being faced by the farmers in cocoa and oil palm sectors. He said the two sectors are critical for job creation and catalyst for the modernization of the Ghanaian economy. Suzan-Hermina Yemidi, the Country Representative for Solidaridad Ghana, said 20 Community-based experimental learning centres have been established and 200 trained with the relevant skills for employment for the phases of the programmes.